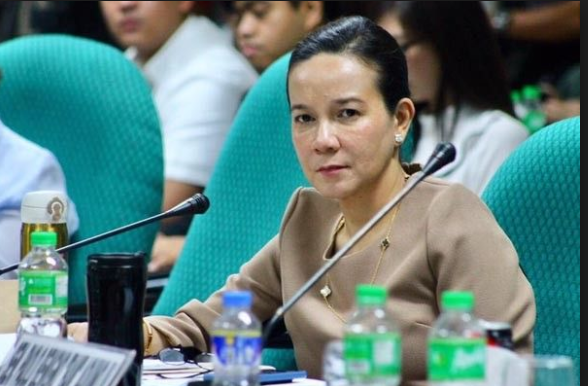 Home / News / Grace Poe warns nation of Arroyo's return: "I don't think I have to remind the people about the corruptions and anomalies during her term"
Grace Poe warns nation of Arroyo's return: "I don't think I have to remind the people about the corruptions and anomalies during her term"
Manila, Philippines – Senator Grace Poe has called on the Filipinos to be wary of former President and now Pampanga Representative Gloria Macapagal-Arroyo’s return to head the legislative branch. The House of Representative has just made a very unexpected move as its members elected Arroyo as its new speaker, replacing Davao Del Norte Representative Pantaleon Alvarez. According to most of media reports, the plan to oust Alvarez was finalized during the weekend, with people close to Davao City Mayor Sara Duterte-Carpio, who has recently formed Hugpong sa Tawong Lungsod a regional COMELEC recognized political party in Mindanao. “This is something that the people should be able to imagine: If we turn parliamentary and I believe they will really push for that especially with her leadership, she would be either next in line to be the president of the country or at par with the president,” she added. If recalled, Arroyo first became president when she assumed power in 2001 to replace then president President Joseph Estrada. Then Arroyo ran in 2004 elections for president and won over Poe’s father late actor Fernando Poe Jr.